Microsoft has introduced a new range of Windows 10-based Lumia smart phones, including a 5.7-inch quad-HD model to rival the latest Android-based phablets. 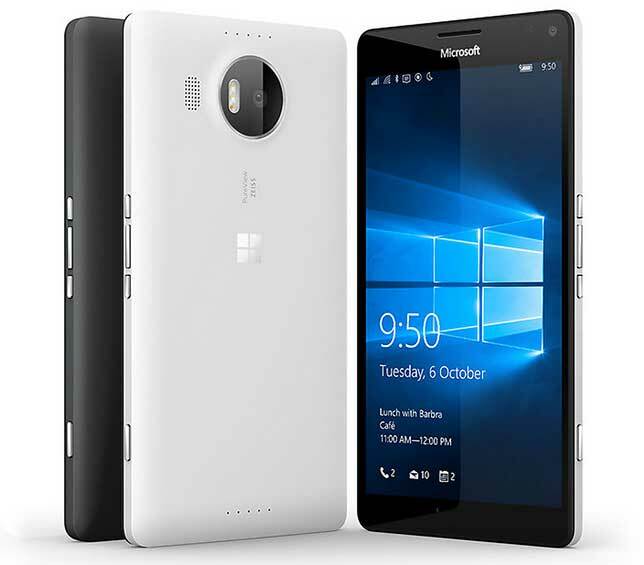 The new Lumia 950 XL sports a 2 GHz eight-core Qualcomm Snapdragon 810 processor, 5.7-inch display with a pixel density of 518 PPI and a resolution of 2,560 x 1,440 (quad HD), similar to that of the recently unveiled Google Nexus 6P. Also like the upcoming Nexus, the Lumia 950 XL offers Gorilla Glass 4 and 4K video capture. Support for the Microsoft Display Dock, which lets users connect the phone to an external display, keyboard and mouse. The 950 XL's smaller sibling, the Lumia 950, is a 5.2-inch Windows 10 smart phone offering a six-core Qualcomm Snapdragon 808 processor with a clock speed of 1.8 GHz. Support for the Microsoft Display Dock. Microsoft indicated that both Lumia models would be available "soon." Further details can be found on Microsoft's site.